The Kree and the Skrulls have been at war for generations. 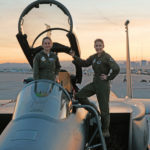 Captain Marvel will soon be bringing that war to the big screen and Marvel has released a new featurette from the upcoming film explaining the intergalactic war. The video highlight the villainous Skrulls, which will serve as the primary antagonists of the movie. 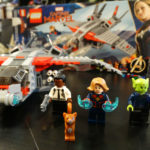 The video features Samuel L. Jackson’s Nick Fury, Gemma Chan’s Minn-Erva, Jude Law’s Yon-Rogg and of course Brie Larson’s Carol Danvers/Captain Marvel. Captain Marvel will blast its way into theaters March 8. Marvel Rising is back with an all new project called Marvel Rising Ultimate Comics. Fans can watch as comic panels come to life to pull viewers right into the story. 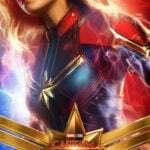 As has happened to other franchises in the past, it would appear that fans opposing Captain Marvel and its themes are showing up to review-bomb the MCU’s newest entry. Check out some of the social reactions to Captain Marvel. Gwyneth Paltrow – the actress who portrays Tony Stark’s secretary and eventual fiance, Pepper Potts – is reportedly retiring the character from the Marvel Cinematic Universe.